Whether planning your children’s spring break or a summer family vacation, why not avoid all the usual places and try something different? To get you thinking outside the box this year, we’ve lined up five family-friendly destination suggestions all within our own great country. How about the place poet Walt Whitman referred to as the “City of Big Shoulders,” that offers world-class museums, zoos and other cultural activities? You and your family can avoid the spring break crowds in Washington, D.C., and visit another city that is just as rich in American history and offers a few surprises. Perhaps pristine, white beaches that aren’t wall-to-wall college students is more your speed? And what about that state that is as big as all outdoors? Or maybe you’re in the mood for some down-home Southern hospitality and a little pickin’ and a grinnin’? Chicago’s skyline will enthrall your children. 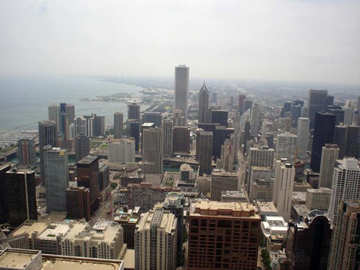 Start out at 1,353 feet above the ground at Willis Tower, formerly known as the Sears Tower. If you aren’t afraid of heights, you can step out onto “The Ledge,” a glass-boxed area that extends from the building’s Skydeck. There’s no view quite like it. Children will also love the animals at the always free Lincoln Park Zoo. While in the neighborhood, stop at the Wieners Circle for one of the best Chicago dogs in the city. What kid — or big kid, for that matter — wouldn’t love a hot dog? View the bounties of the sea from sharks to jellyfish at the Shedd Aquarium. Nearby are both the Field Museum and Adler Planetarium. Just down the road, at the Art Institute of Chicago, your children will love the extensive collection of knight memorabilia. See what else Chicago has for families at ChicagoKids.com. Steeped in colonial history, Philadelphia is a living monument to the founders of our country. Betsy Ross’ home at 239 Arch Street steps into our past, and children will enjoy learning and seeing how our first flag was made. Benjamin Franklin, the most famous Philadelphian who wasn’t president, holds court today all over the city — from Christ Church, where he worshiped, to Independence Hall. Franklin reigns supreme over the city, even though it is Quaker William Penn who sits atop City Hall. Franklin started the Franklin Institute, today one of our country’s greatest science museums, which is naturally located just off Benjamin Franklin Parkway. Children will love the hands-on experiences and a walk through a giant human heart. 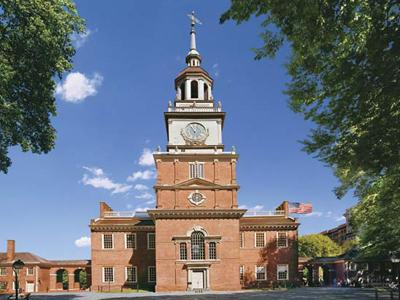 In Old City, you can easily walk to Independence Hall, where the Declaration of Independence was signed and Carpenter’s Hall, where the Continental Congress met. The Liberty Bell is housed nearby, and is always a popular attraction. Information about the above attractions and others can be found at VisitPhilly.com. Alabama’s Gulf Shores area offers beach time as well as outdoor activities and numerous attractions for families. 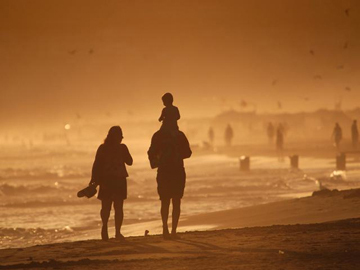 Just don’t forget to pack your sunblock because even the spring sun on the Gulf can cause damage. Don’t miss the requisite boat tour. Children out of school can see dozens of dolphins in school (rather, schools) in the Gulf of Mexico. Dolphin sightings are frequent, and those friendly sea mammals will often come close enough to your boat to get a great picture. For added fun, try the Orange Beach Pirate Cruise. The National Naval Aviation Museum displays more than 150 restored aircraft, interactive hands-on exhibits and a Top Gun simulator for those wannabe pilots. What visit to the Deep South isn’t completed by seeing more than 150 alligators in a native habitat? Check out Alligator Alley and get your children up close and personal to something a little scarier than mom’s purse. The largest city in south Texas, San Antonio, rolls out the welcome mat for families at the San Antonio Children’s Museum. Focusing on children 10 and under, the museum has three floors of interactive children’s activities and weekly science and arts programs. You’ll want to plan at least half a day to get through all the exhibits — children can pan for gold and semi-precious stones or learn about flying a large airplane. The free Ford Children’s Festival on the Riverwalk is April 21 with live entertainment, mascots, face-painting, a moon bounce and games. This is part of San Antonio’s larger Fiesta celebration. 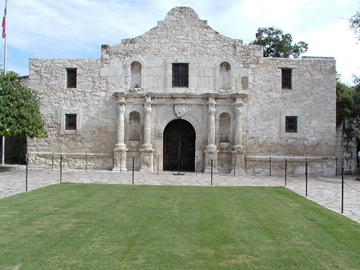 No one can visit San Antonio without a trip to the Alamo, where Jim Bowie and Davy Crockett bravely held off Santa Anna’s Mexican army for many days. While the battle was ultimately lost, the Alamo symbolizes defiant struggle against impossible odds. For more information about San Antonio, visit VisitSanAntonio.com. No other city than Nashville can offer you both Elvis’ gold Cadillac and a president’s mansion. The King’s golden vehicle can be found at the city’s Country Music Hall of Fame, where kids will love the old guitars, automobiles and colorful costumes that belonged to the greats. Take in a live performance of the Grand Old Opry. On any given night you never know which country superstar will show up on stage. Will it be Randy Travis or Vince Gill? Adjacent to the Opry is the Gaylord Opryland Hotel. Stay onsite or at least visit its maze of restaurants, shops, and activities. You can go for a Delta Riverboat ride inside the giant facility, and float through 4.5 acres of lush, green plants no matter the season. President Andrew Jackson’s mansion, the Hermitage, is a must-see for any history buff. The large farm offers mansion and other tours, and shows what life was like for both Tennessee aristocracy and the 150 slaves who lived on the plantation. 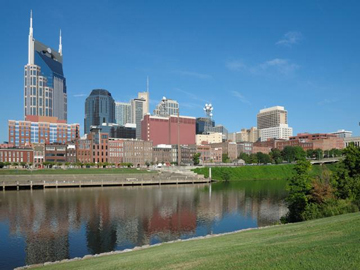 For more information on Nashville’s attractions, visit VisitMusicCity.com.